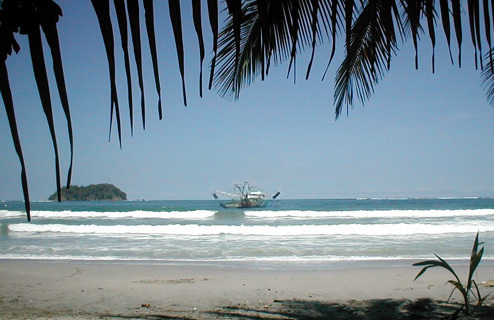 ...the second "Best Beach" in Central America according to the "Travellers Choice 2013"
Samara Beach .... Costa Rica's hidden tropical paradise on the Pacific ocean. It is the perfect, long, white sand beach with shallow, gentle waters. Samara has a superb coral reef and its own picturesque and deserted wooded island in the bay - Isla Chora. It is popular with swimmers and surfers, and it is an ideal beach for your kids.